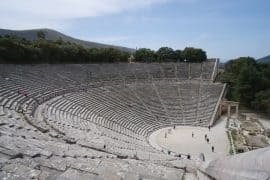 South Peloponnese in Greece has many beautiful places worth visiting. One of them is Monemvasia with the incredible castle. 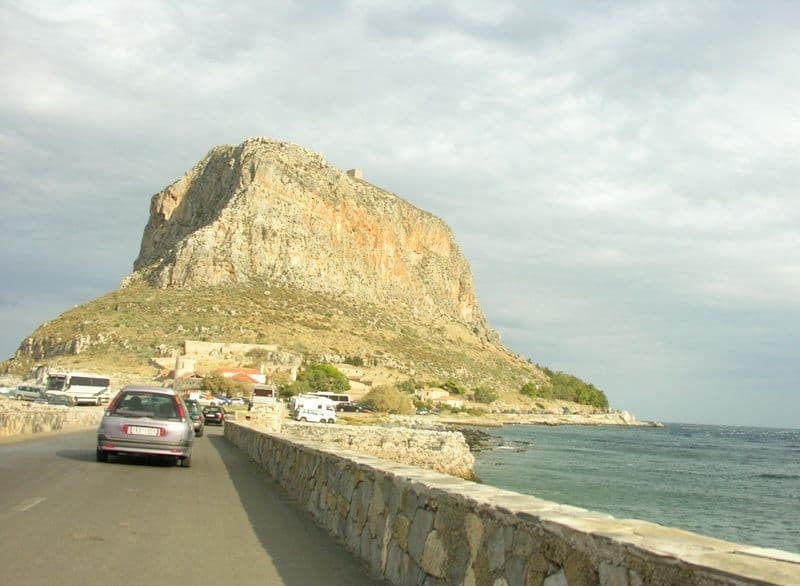 You can get to Monemvasia either by public bus (ktel) or by car. The distance from Athens is 280 km. 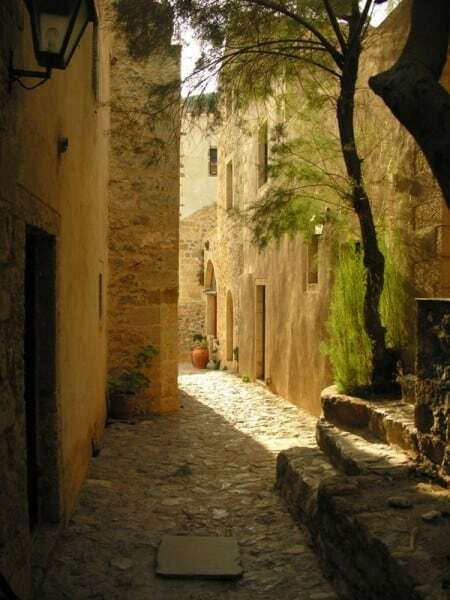 The first time I visited Monemvasia was as a day trip from Mani, where I was spending my holidays at the time. 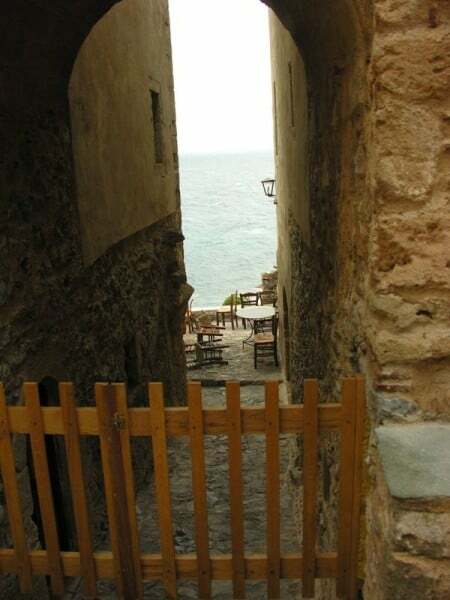 Although I have heard about Monemvasia’s beauty nothing prepared me for what I saw. 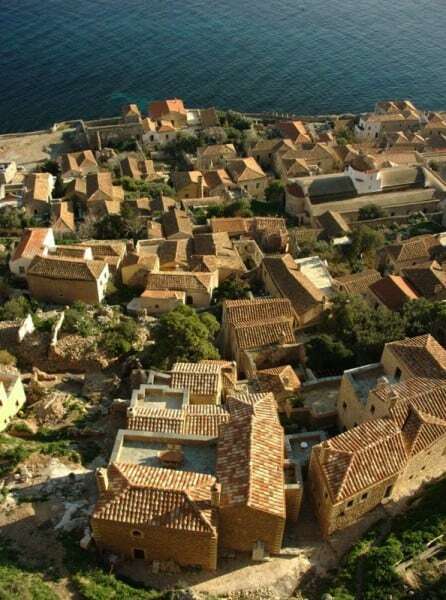 The old Monemvasia town lies on a big rock at sea connected to land by a small bridge. The only thing you get to see as you approach is the big rock. To enter the city you have to leave your car behind. The big surprise comes as you enter the fortress’s gates. 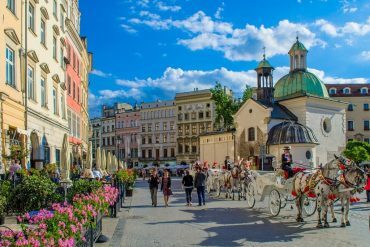 A whole town of castles, mansions, cobbled streets, squares and churches unfolds before your eyes. Inside the fortress‘s walls you will find one of the best preserved castle towns in Greece. The main road starting from the entrance passes the many restaurants, bars, shops and boutique hotels that are housed within preserved buildings. 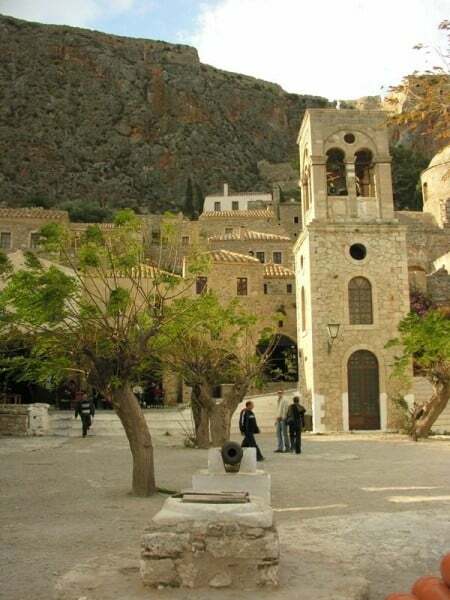 At the main square of Monemvasia dominated by an old cannon you can see the church of Elkomenos Christos and a 16th century Mosque that houses the town’s archaeological collection. From that point starts the road to the upper side of the town. Although it is a steep 15min climb the view at the top is very rewarding. You get to see the rooftops of the lower town spreading until the sea. 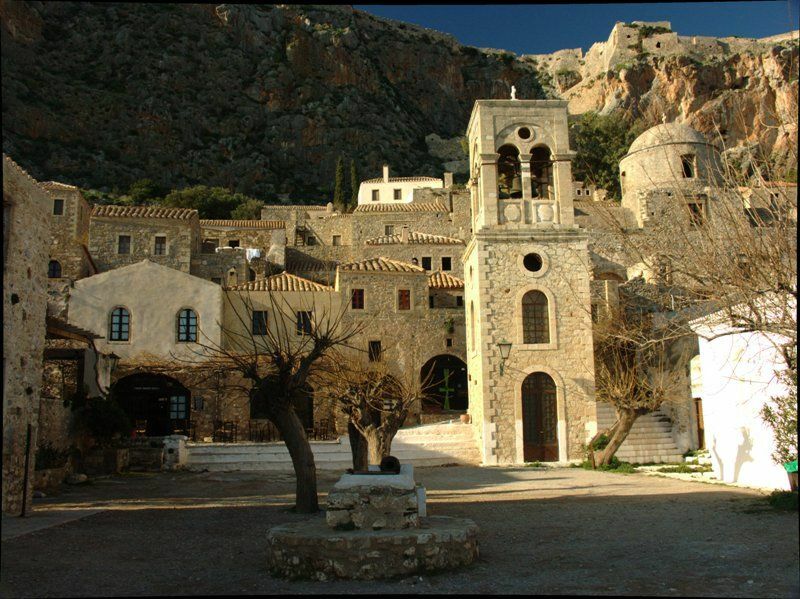 Inside the walls of Monemvasia, you will count 40 different churches. 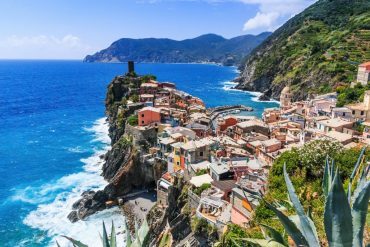 It is totally worth spending a day or two in this lovely town, stroll the narrow roads and eat under the sun with views of the sea. 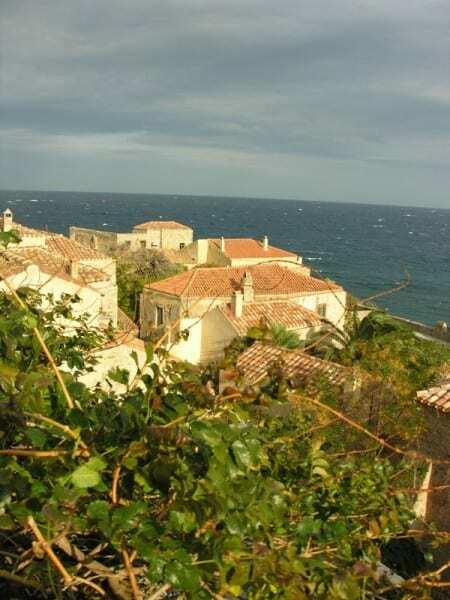 Built inside the castle town of Monemvasia and just 18 minutes on foot from the beach offers stone built rooms with sea views. 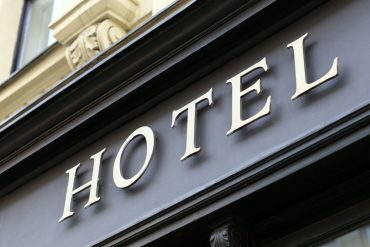 Other room amenities include air conditioning, free Wi-Fi, satellite Tv, a fridge, and toiletries. 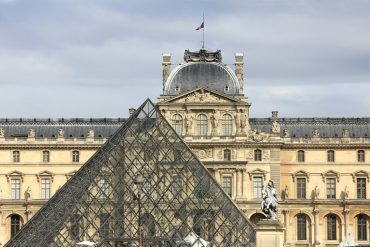 Check here for the latest prices and more details or check out Tripadvisor Reviews. 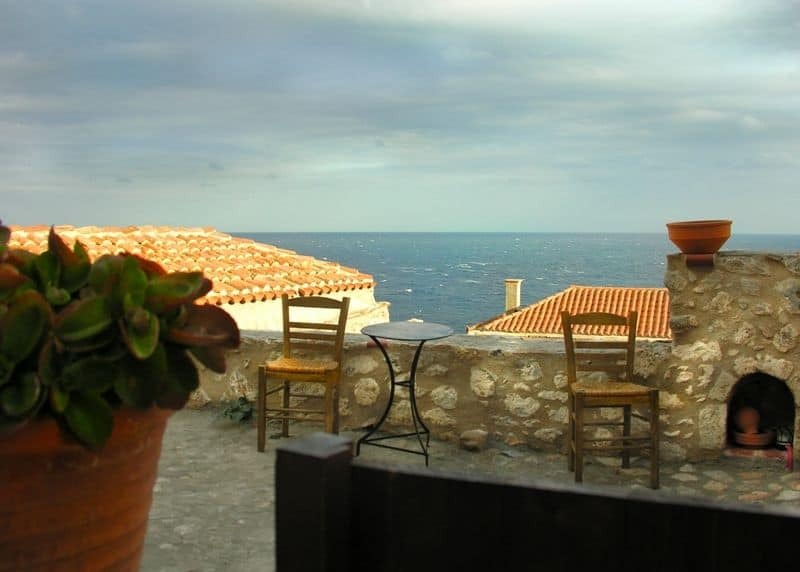 Located near the castle town of Monemvasia and the beach the hotel offers luxurious accommodation in a restored mansion. All rooms are equipped with flat screen TVs, bathroom amenities, bathrobes and slippers, a pillow menu, air conditioning and free Wi-Fi. Guests can dine at the onsite gourmet restaurant or relax by the pool. Situated inside the castle of Monemvasia this stone-built hotel offers traditional accommodation with views of the Aegean Sea. In – room features include free Wi-Fi, air conditioning, Mini Bar, Satellite Tv, and toiletries. Nafplio: The distance between Nafplion and Monemvasia is 186 km. 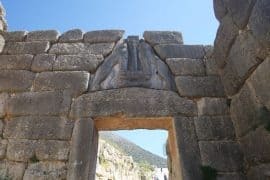 Elafonisos island: You can get a ferry from Neapoli in south Peloponnese to this beautiful island, it will only take you 10 minutes to get there. Elafonisos is famous for the long white sand beaches with the turquoise waters. 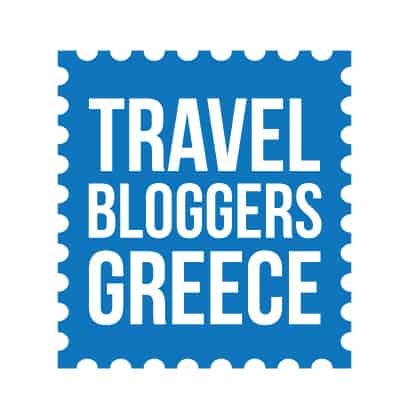 You guys have posted some wonderful stuff on Greece recently – will be a great resource for when we head there in the future! Thanks! There are a million nice things one can do in Greece. I will try to present them all! 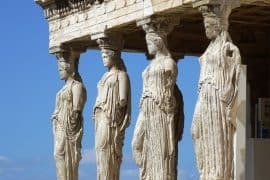 Greek mainland is full of great things to see! 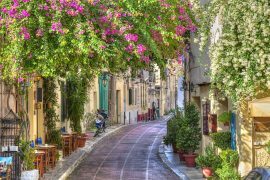 I love Crete it is one of my fave islands! 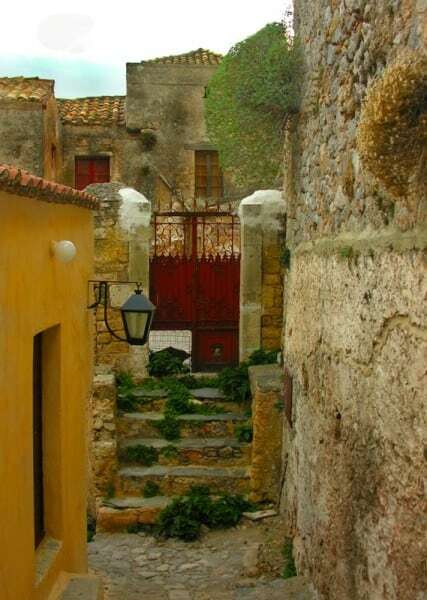 I never tire of photos taken in medieval and Renaissance Mediterranean towns. The light always has a golden cast and the labyrinth of streets and sea vistas are mesmerizing. I totally agree with you! I love medieval towns. 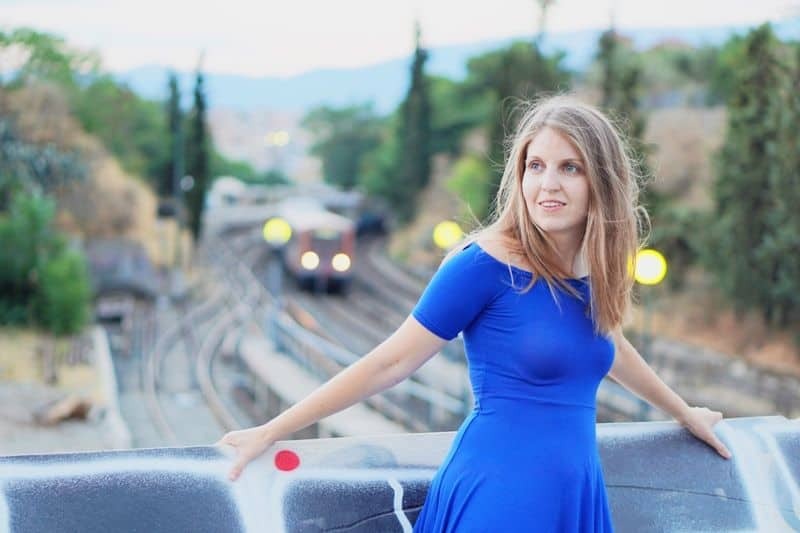 On my first and only trip to Greece, we stopped in a small town where the first Greek constitution was signed (apparently Great Britain arranged the assassination of Greece’s Prime Minister shortly after) and the town had a fortress which we literally ran all the way up – it was amazing! I think you are talking about Nafplio. Great city! thanks Robyn. It is trully an incredible place!